Ten or twelve similar looking products in an identical size. You are probably wondering which brand may be the best for your family. However, that depends on how you cook. So, we will define what a professional range is, whether you should buy all gas or dual fuel, and then compare the best brands for you. There are tons of 36-inch width ranges on the market. Many like Bertazzoni, SMEG and Verona are not professional ranges. A professional range is a stove with a commercial look and high output BTU burners. 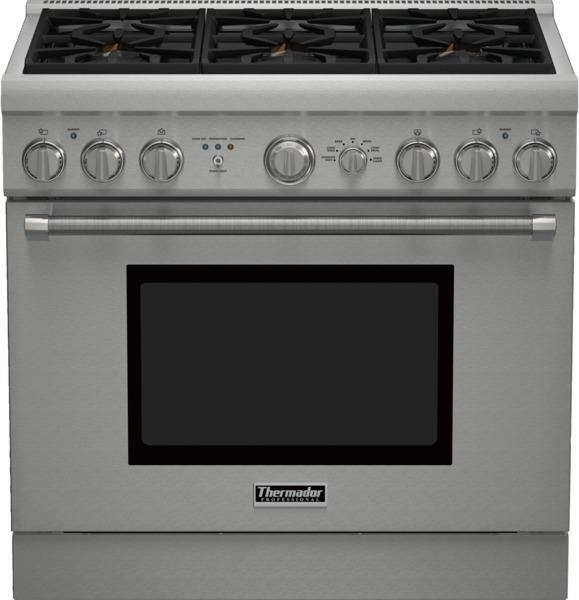 36-inch ranges have the advantage of a larger oven, as well as a choice of 6 burners or griddle and grill combinations. The product has only been around since 1989 with the first Viking range. Now, there are over a dozen manufacturers with different value propositions all competing to be in your home. Wolf: Wolf was independent until being purchased by Sub-Zero in the late 1990s. 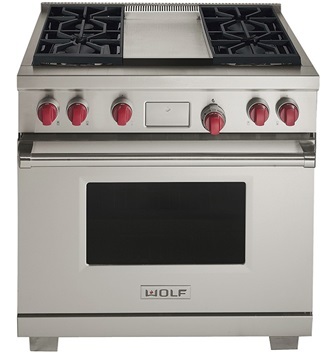 Known for their stylish looks, red knobs, and their twin convection powered oven, Wolf is an excellent baking range. They also have a rebate program with Sub-Zero and other Wolf appliances. Miele: “Forever Better” was inscribed on the first products that the Miele founders produced. Over a hundred years later, Miele has stayed true to that promise, as they continue to manufacture some of the most elite residential and commercial appliances in the world. Miele is a family-owned, family-run German company, founded in 1899. Over the course of their history, one goal has never changed: providing premium products and services to every customer. Miele will offer 10% rebates with the purchase of other Miele products. 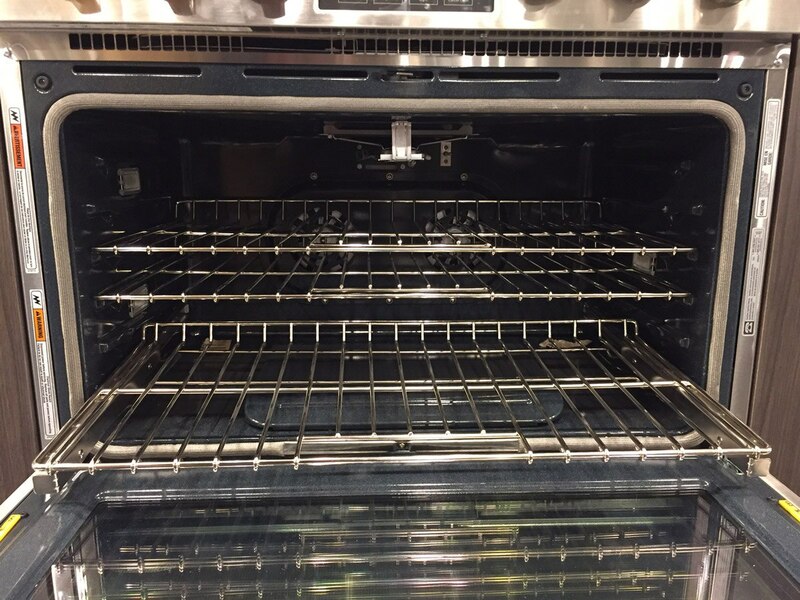 Jenn-Air: Jenn-Air was well known for downdraft ranges and cooktops. 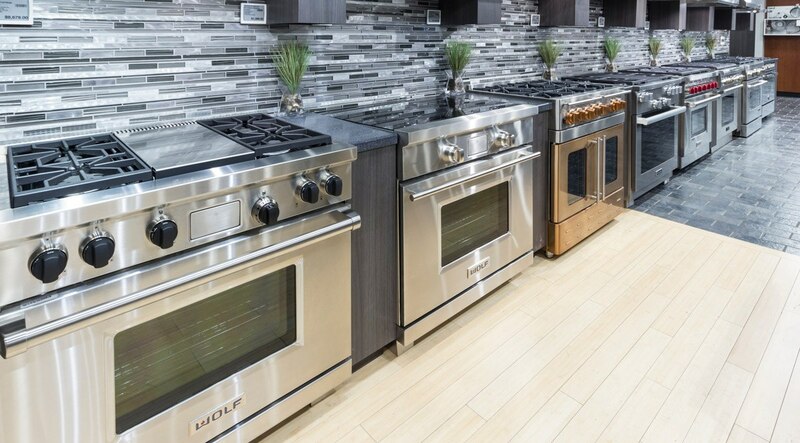 The parent company, Whirlpool, finally invested 300 million dollars in cooking, specifically on their wall ovens and professional ranges back in 2007. 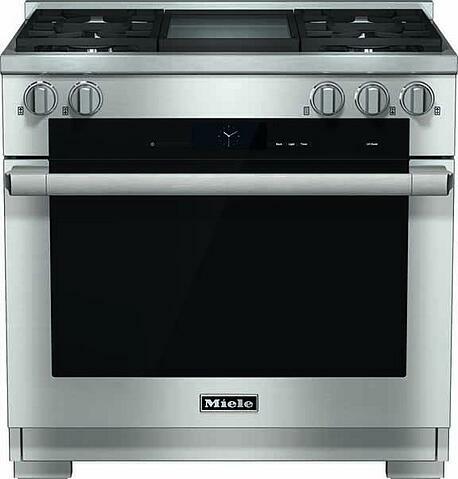 Their range is very competitive with high output burners, LCD oven controls, and twin convection. Jenn-Air offers a rebate program, in which you receive a $1,300 credit towards additional Jenn-Air appliances with the purchase of a pro range and an additional $2,000 with additional qualifying purchases. Thermador: Thermador, a division of the German Bosch company, is known for cooking. Their professional ranges have even heat distribution and an ultra-low simmer with their star burners. Thermador is also one of the most reliable premium products. They also have a great rebate program of free dishwashers, microwave drawers, discounts off their steam oven, and hoods with qualified purchases. BlueStar: BlueStar has a long history and strong heritage that dates back to the late 1800’s. Their handcrafted products are made in Reading, Pennsylvania, and mostly designed by chefs seeking restaurant-quality results in their own kitchens. 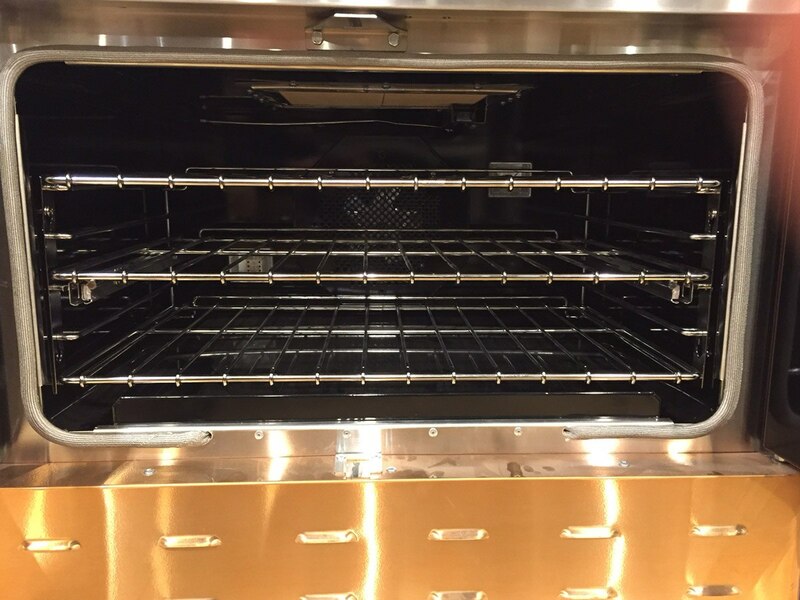 Not only are they well known for their powerful ranges, boasting 25,000 BTU burners, they’re also recognized for their precise temperature controls, heavy-duty durable construction, superior oven capacity, fully customizable line (available in 750+ colors and finishes), and near infinite configuration possibilities. They also have a rebate program with the purchase of a Pro Range and qualifying hood. Available in Natural Gas or Liquid Propane. Wolf's dual convection is thermostatically controlled on both fans for the best temperature control you can have. Perfect for baking. Clean Touch Stainless Steel Front. Reasons to Consider: Miele has incredible technology. You set the food and your specified doneness and the range calculates the time and temperature. The grill and griddle are similar to Wolf. You also have a steam functionality to caramelize meats or bake bread. You have 16 automatic bread recipes. Reasons to Consider: Jenn-Air has a number of good features like a clock and timer with automatic convection conversion and twin convection in the oven. The BTU high is like Wolf at 20,000 BTU. However, the low price and incredibly easy to clean griddle are two very good reasons to buy Jenn-Air. Reasons to Consider: The burner is extremely powerful at 25,000 BTU. It is open whereas the others are sealed. 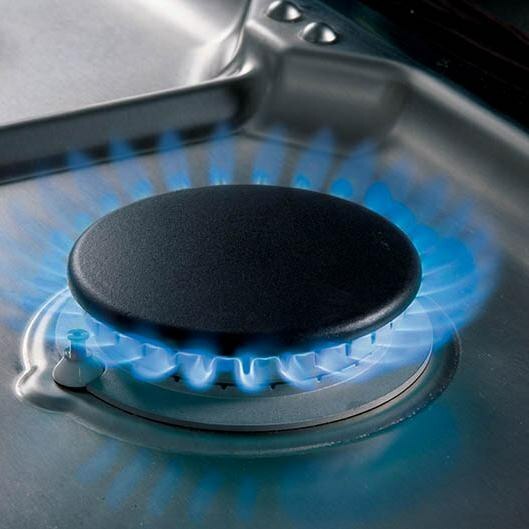 It is easier to clean a sealed burner, but cleaning with an open burner can be done at the sink. BlueStar is the only pure gas convection. By definition, it is better for roasting due to moister heat. The infrared broiler is also the best in any range at 1,850 degrees. BlueStar has the ability to offer their range in a French door configuration and has 750 color options. 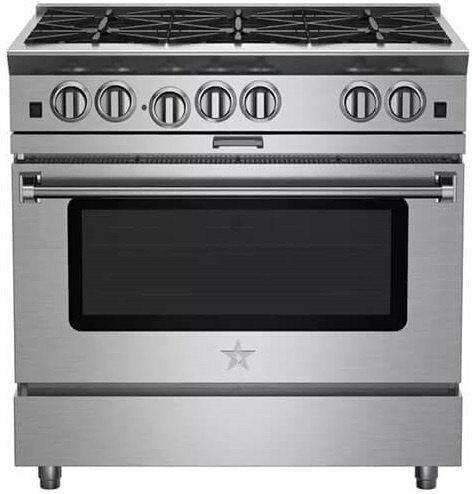 If you’re looking for a great range with power, the BlueStar will be the closest to offer commercial type cooking with 25,000 BTU burners. It is an open burner design so the top is easy to disassemble for cleaning. However, it can be tougher to clean larger spills, because there will be way more to clean. Jenn-Air and Wolf top out at 20,000 BTUs. If you’re looking for precision in simmering, Thermador is the lowest with achievable lows of 100 degrees. It is, however, an intermittent simmer or, in other words, an on/off simmer. Wolf does have a great consistent simmer at a temperature of 375 degrees on the smaller burner. This is a tough one. Wolf and Miele have the infrared grill and griddle. Yet, the electric grill of Thermador was a bit more consistent front to back in our testing. The chromium Jenn-Air griddle is the easiest to clean. The Jenn-Air, Miele, and Wolf, all have twin convection to move even more air. The Wolf, however, alternate the blowers for different foods, so it is technically the best. In terms of broiling, BlueStar would be the best due to its powerful infrared broiler. That really depends on what you like and what you’re looking to get from your Pro Range. With respect to price and features, Jenn-Air and Thermador offer a great range at a great value. They’re currently both offering the most aggressive rebate package incentive with the purchase of a pro range. BlueStar, Wolf, and Miele all offer rebates at different times. Make sure your salesperson informs you of any price updates. Wolf and Miele are listed as the most reliable brands according to our 20,000 service calls in 2016. The difference in reliability is not huge. You need to know who fixes your range before buying because you will need service within 5 years. If there was one dominant product, we would sell just that. My advice would be based on how you would use the range. 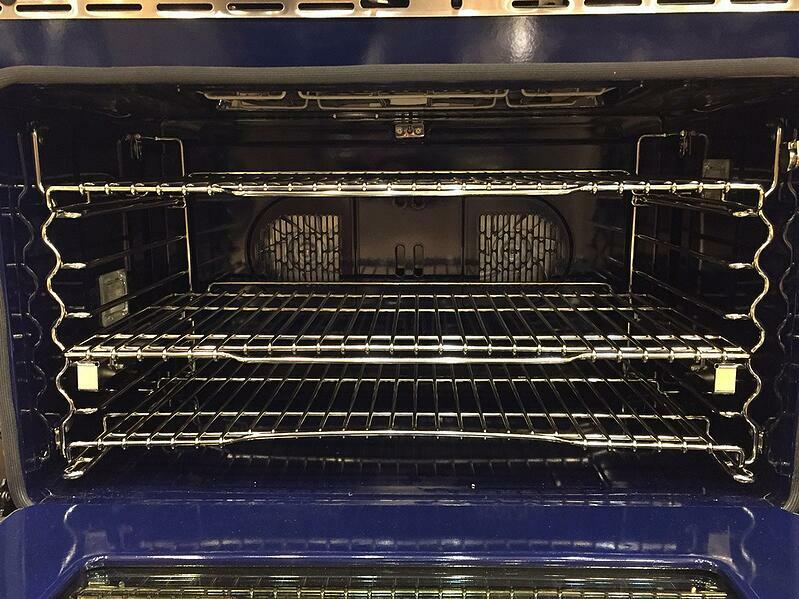 BlueStar would be my advice for a powerhouse range with a great broiler and burner. However, if you like to bake, I would choose Wolf, Miele or Jenn-Air. If you like to simmer, Thermador is the best. Want a range with great all-around value at a decent price? Go for Jenn-Air. For ease of use, look at Miele. So, it depends on your lifestyle. If you need any more information on professional cooking products, read the Yale Professional Range Buying Guide with BTU output and features of every professional cooking product on the market. Well over 230,000 people have read a Yale Guide. Editor's Note: This article was originally published on January 3, 2014 and has been updated for accuracy, freshness, and comprehensiveness.